The property is positioned on the 3rd floor of a well maintained and quiet building which fronts directly onto "Rushcutter's Bay Park". 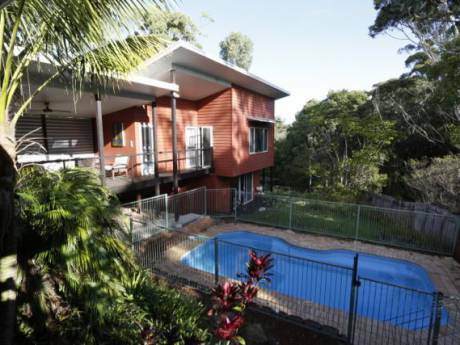 The whole apartment looks right into the lush parklands as well as the harbour itself, which is just below. There are no buildings in the way, so the view is completely unobstructed. The generous and bright living area has access to a small balcony with room for 2 to have a breakfast and watch the Yachts. The large kitchen has lots of bench-space, a great fridge and microwave, as well as stove etc... The master bedroom has ample storage and hanging space and also benefits from the great view. The second bedroom is currently set up as a home office, but this can be arranged as a 2nd bedroom if requested. The building has a lift and a common, coin-operated laundry. There are stairs beside the building which takes you straight into the park. Rushcutters Bay Park is one of the most popular and beautiful parks in Sydney. It is a favourite for picnics, boating, sports, sun-tanning, families and walking along the beautiful harbor-side pathways. On the far side is the CYCA (cruising Yacht Club of Australia) this is a lovely place for lunch on the pier, watching the boats come in and out. 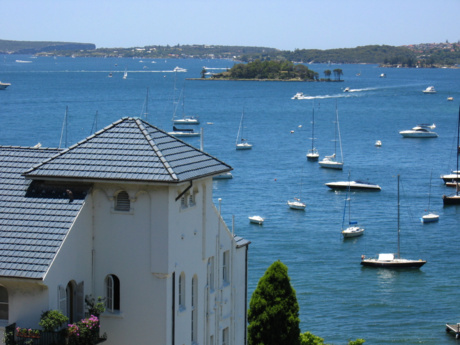 The apartment is a 20 minute walk to the Botanic Gardens, Sydney Opera House and Circular Quay. To get to Bondi Beach, just walk to Oxford Street (10 minutes) then hop on the '380' Bus, it should get you there in about 20 minutes. Oxford Street itself is a great boutique shopping strip which stretches for miles, with clothing stores, perfumeries, jewellery dealers etc... a great place to spend the day on some retail therapy and then relax for a nice lunch.